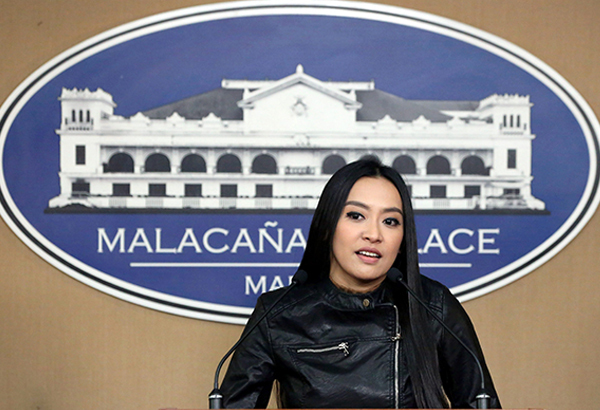 President Duterte defended the appointment of celebrity blogger and campaign supporter Mocha Uson to the new position of Presidential Communications Operation Office Assistant Secretary for Social Media. 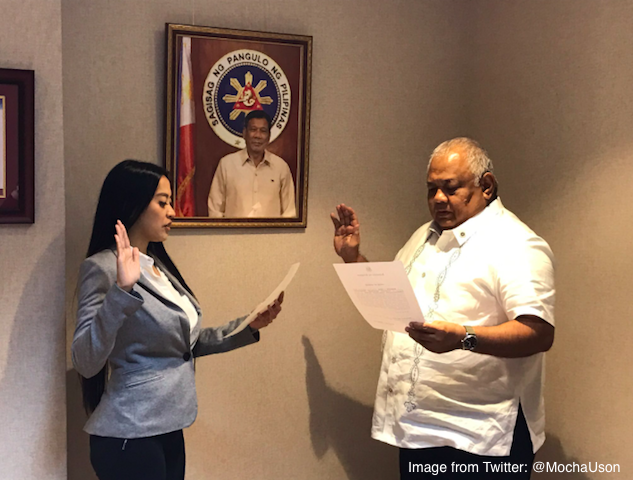 Prior to this appointment, Duterte appointed her as MTRCB Board member a few months back, a position she is now vacating. 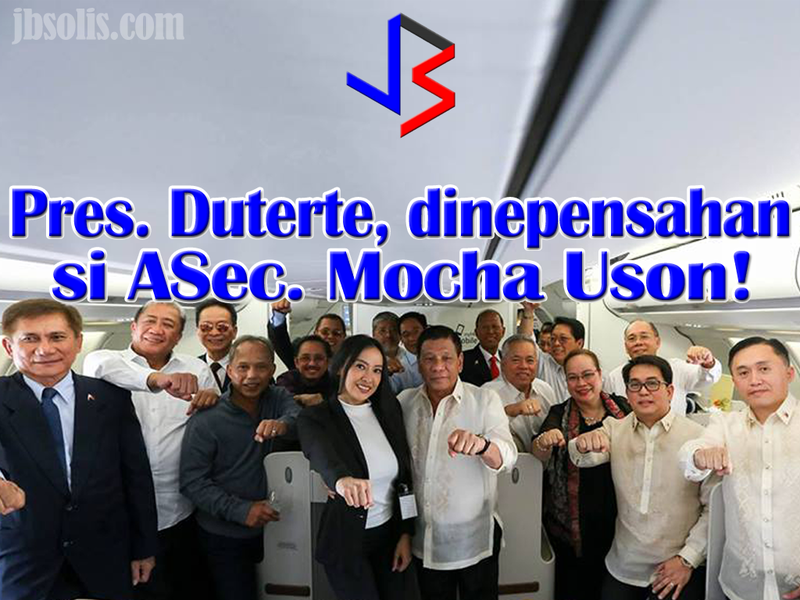 Previously known for leading the all-female group Mocha Girls, Uson became one of the staunchest supporters of then candidate Duterte. 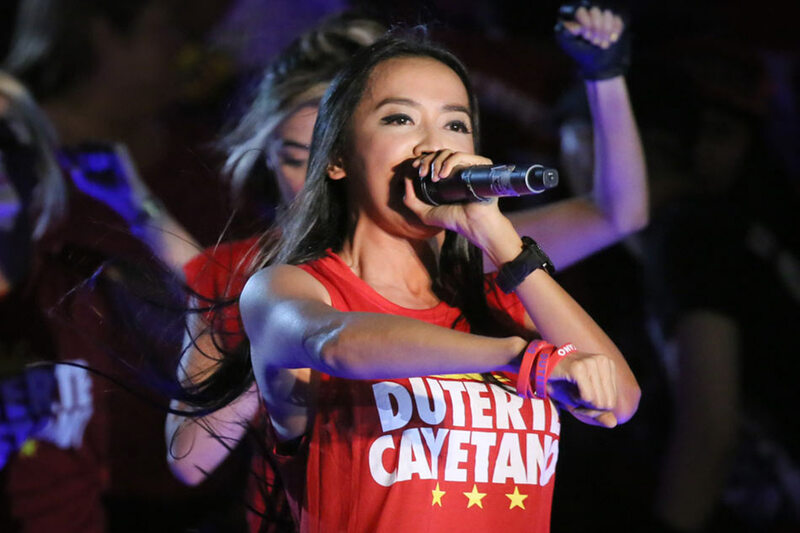 Mocha energizing the audience during Duterte's campaign sortie. 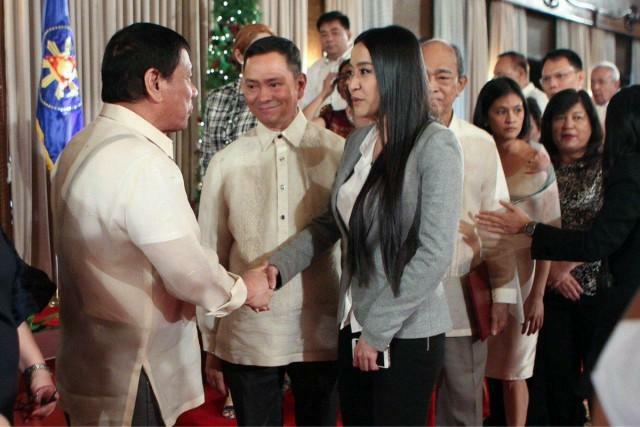 Mocha Uson meeting President Duterte a few hours after taking her oath of office as ASec. The president went back to Mocha's contributions to his campaign, saying Mocha and her group believed in him and has campaigned for him without asking for anything in return. 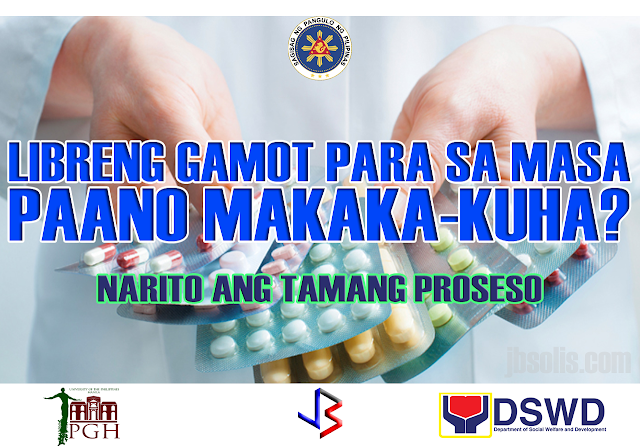 Duterte emphasized that it was his turn to believe in Uson. He believes that Mocha is qualified for the post, citing the time she spent in his campaign. She sees Mocha as intelligent, one you can listen to and debate with. The president further cited Mocha's experience and her huge following in social media, saying she can have a very structured mind. As a Palace official, Uson will be in charge of social media and will be producing social media content, said presidential spokesperson Ernesto Abella. Mocha, speaking at a press conference in Malacañan Palace, prior to her new appointment. Some of the reactions questioned Uson’s lack of Civil Service qualifications. 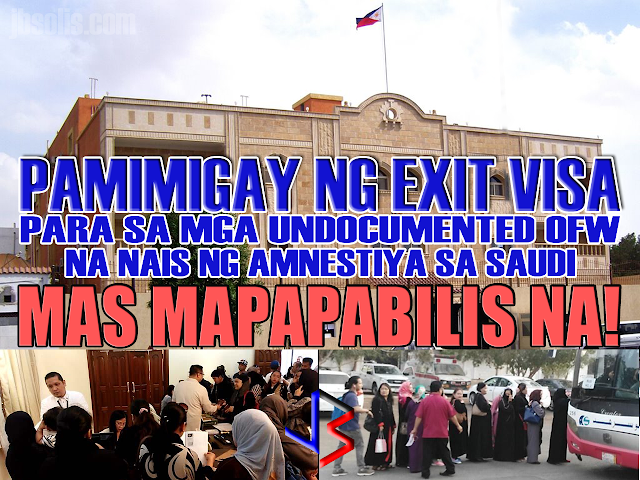 But since presidential appointees are usually co-terminus with the president, they are not required to take and pass the Civil Service examinations. As for her background, Mocha, who is Margaux Uson in real life, is a 1998 medical technology graduate of the University of Santo Tomas. She later took classes in medicine but later dropped out after two years to focus on her blossoming showbiz career. One of the reasons behind Mocha's support for Duterte, whom she believes would end criminality in the country, was the failure of justice in her father's death. Mocha's father is Judge Oscar Uson, who was assigned to the local court in Tayug, a 3rd-class municipality in Pangasinan. Previously published reports said Uson was assassinated in 2002 by 4 hit men while heading home from work in Asingan town. 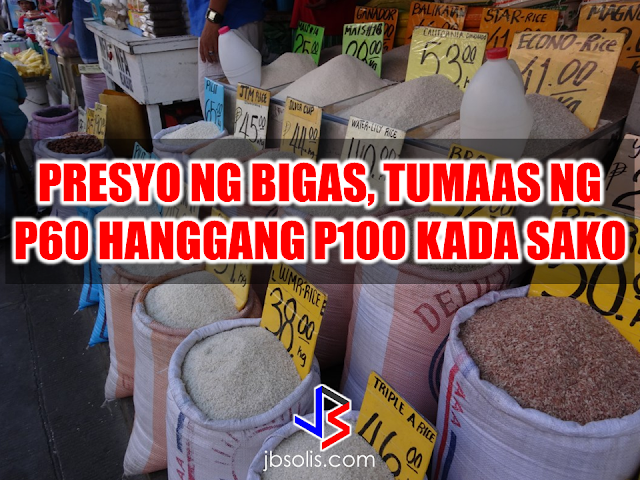 The president summed up his statement saying "Every Filipino should deserve a chance, whatever."